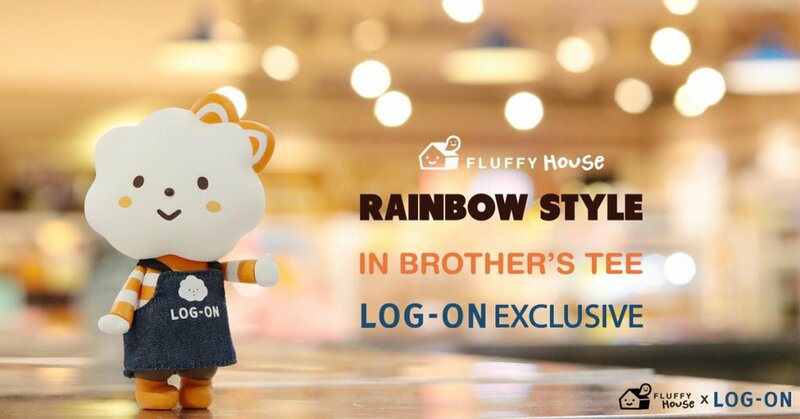 Hong Kong’s superstore “LOG-ON” have joined a partnership with Fluffy House! To mark the partnership they’ve landed an EXCLUSIVE Miss Rainbow Style” In Brother’s Tee” LOG-ON Exclusive. Taking us back down memory lane as Miss Rainbow now as the Classic clothing as OG Mr Cloud. This time, you can’t imagine that Miss Rainbow wears her brother’s favourite orange striped tee! What a lovely sibling style! She also puts on a LOG-ON working apron and becomes the cutest summer part-time salesperson at LOG-ON. Her spirit is high but she is not tall enough LOL! Keep your eye-level low when you are looking out for her! From 19th July 2018, you could find Miss Rainbow in brother’s tee at LOG-ON stores! Don’t forget to mark the schedule and meet her. Meet the limited edition exclusive Miss Rainbow In Brother’s Tee in Hong Kong soon.